180 gram vinyl version. Exact repro reissue, manufactured by Rhino. Their third studio release from 1967. Tracks include some incredibly next-level Isaac Hayes cuts ("Soul Man," "May I Baby," "Don't Knock It"), as well as "Broke Down Piece Of Man" and "I've Seen What Loneliness Can Do." "When the boys are singing a slow ballad, they push it out with such intensity that you feel it in every bone in your body. When they are doing a movin' fast number, you can't help but pick up those groovin' vibrations. 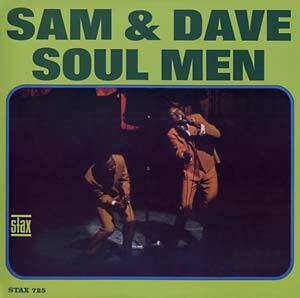 Even if you're not usually a hand-clapper or finger-snapper, you can't help yourself when you listen to Sam & Dave."